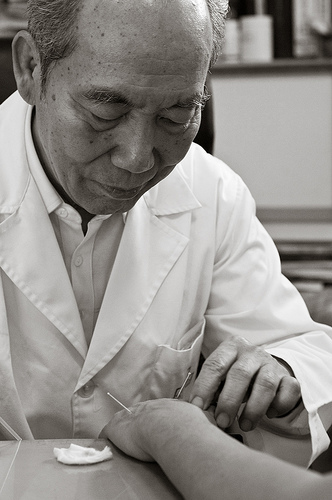 I like Bob Flaw’s interpretation of lao zhong yi, “old Chinese doctor,” in his blog post on the development of modern Chinese acupuncture [See note] . To paraphrase, the acquisition of this title is not dependent on age, but rather on the doctor’s practical skills and his insight on Chinese medicine. It is a level of maturity that requires considerable effort in discerning the clinically valid points within a plethora of conflicting information. Curiosity, Knowledge and Progress are words that partly define my own character. That—in addition to my engineering experience—leads to my interest in mechanistic studies on acupuncture as well. However, I am keenly aware of a spectrum that ranges from completely intuitive to overly rational styles of practice. Divisive opinions within this spectrum—as well as variations in clinical outcomes—shed light on a need to balance qualitative and quantitative methods of health care. Qualitative care heeds a patient’s unique experience of health, disease and life, in general. Quantitative care relies on technological data collection pertaining to the nuts, bolts and functioning of the human body. Feeling (palpating) changes in the pulse characteristics of arterial blood flow; variations in surface temperatures on the body; variations in tissue pliability. Seeing variations in the shape of the tongue body, and the quality of its coating; discolorations on the skin surface; biomechanics and posture. Hearing not only the words of the patient, but also the context in which they are expressed; quality and strength of the voice; characteristics of vocal symptoms (e.g. coughing). Smelling body odors—not necessarily foul. This is the least employed sense (excluding taste) in modern practice, although it is often used in 5-Element styles of acupuncture. Intuition (sixth sense): Intuition is inherently difficult to articulate. However, it is related to what the Chinese call “Shen” (spirit). It is an assessment of a patient’s overall vitality that is based on insight, and is built on rapport. With the above perceptions, the practitioner can realize the broad scope of a person’s ailment without resorting to any reductionist views of the human body. On the quantitative side of practice, clinical decisions are based on lab reports and a mindset that is focused on discrete anatomical structures—nerves, blood vessels, lymphatic vessels, motor points, trigger points, muscles, ligaments, and tendons. Quantitative practice falls on the rational side of the spectrum mentioned above. I do support a rational understanding of acupuncture, and the search for its well-defined mechanisms of action. But in addition—and in clinical practice—I rely on the freedom offered by the ambiguity of qualitative care. Looking beyond the mindset of distinct anatomical structures allows me to focus my attention on Qi. Here we can define Qi as more than energy, as it is commonly translated. Partly, it is the coordination of nerve conduction, blood and lymphatic flow, and body movement. “To focus on Qi” means that the practitioner looks for signs that this coordination has been re-established, setting aside the distinctions between the anatomical elements just mentioned. The re-establishment of coordination—thus, internal balance—can be signified by a fascial (connective tissue) release, palpable change in local temperature, complexion changes, and/or a change in radial pulse characteristics. However, these signs are not taken at face value. Rather, they are filtered through the practitioner’s experience and intuition, which brings us to the spirit side of Qi. Defining Qi partly in Western terms makes the intuitive-rational spectrum more evident. This is the yin and yang of medical practice. And it brings me to my final point: quality healthcare relies not only on formal science, but also on natural science and medical humanity (see Medical Humanities). *Note, dated 7/23/15: link source URL, http://www.bluepoppy.com/blog/blogs/blog1.php/the-development-of-modern-chinese, no longer exists. Andrews, Bridie J. “History of Pain: Acupuncture and the Reinvention of Chinese Medicine.” APS Bulletin 9.3 (1999): n. pag. Academia.edu. Web. 31 Mar. 2013. Flaws, Bob. 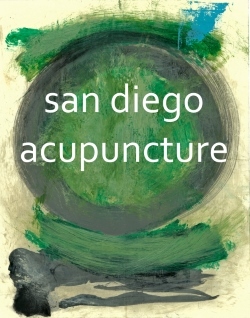 “The Development of Modern Chinese Acupuncture and Why It Matters to Us in the West.” Blue Poppy. N.p., 27 May 2011. Web. 31 Mar. 2013. <http://www.bluepoppy.com/blog/blogs/blog1.php/the-development-of-modern-chinese>. Scheid, Volker. Chinese medicine in contemporary China: plurality and synthesis. 2002. Reprint. Durham, NC: Duke University Press, 2005. Print.